Marketing leaders are constantly trying to build profitable customer relationships by delivering innovative marketing strategies that reach and energize the audience. At the same time, initiatives like customer experience management are driving the need for a marketing makeover. 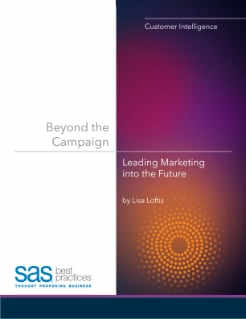 This paper shows how leading companies are repositioning their marketing efforts to prepare for a more data- and results-driven environment.